A bi-annual effort, born in our diocese, has proven to be a successful tool to raise awareness of the dangers of the culture of death and share the message about the sanctity and dignity of life in the United States and Latin America. In August of 2013, the 3rd Hispanic Congress of the Americas for Respect Life and Evangelization was hosted by Bishop Kevin Farrell of the Diocese of Dallas and the Diocese of Fort Worth, organized by the Catholic Pro-Life Committee, Respect Life Ministry of the Diocese of Dallas, with assistance from the USCCB Secretariat of Pro-Life Activities. The Congress emphasized the universal call to help and serve the most vulnerable among us, especially the unborn, women who have had abortions, and our elderly and disabled. Hispanics in the Americas were encouraged to begin networking to unite in the defense and promotion of life, marriage and religious liberty and to become effective witnesses to the Gospel of Life in the Church and their communities. The first congress was hosted in Dallas in 2008 in collaboration with Vida Humana Internacional, the Hispanic Division of Human Life International. Nationally recognized speakers came to Dallas for the first time in the history of the pro-life movement with a singular aim: help create a culture of life within the Hispanic population in the United States. The goal was to train and equip all who attended to develop pro-life programs and ministries, based on the teachings of the Catholic Church, in their respective dioceses, in the Spanish language. Diocesan leaders who attended took back resources, materials and invaluable connections to their home dioceses. In response to continued momentum, the Diocese of Phoenix hosted the 2nd Bi-National Hispanic Congress of the Americas for Pro-Life and Evangelization in 2011. The three-day event brought participants from 14 countries, in addition to many who came from throughout the United States. I was honored by an invitation from Bishop Thomas Olmsted to participate as a member of the planning committee. I attended the Congress with then Dallas Auxiliary Bishop Mark Seitz. 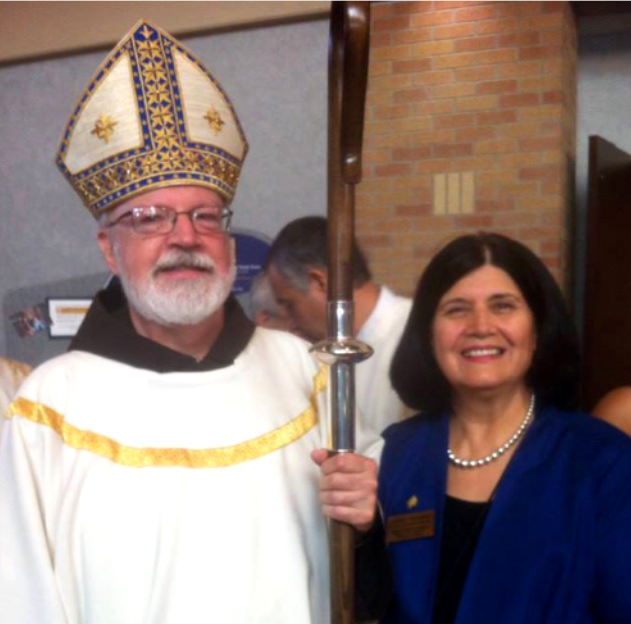 We returned to Dallas for the 3rd Hispanic Congress of the Americas for Respect Life and Evangelization in 2013. We were blessed to have an opening Mass celebrated by Cardinal Seán Patrick O’Malley and closing Mass by Cardinal Daniel DiNardo. Archishop Gustavo García-Siller, Bishop Seitz and Bishop Jaime Soto, along with several national experts, presented. The Congress drew attendees from 5 countries, 14 states plus the District of Columbia, 60 cities within the Texas region, 22 diocesan groups, and 28 vendors and art exhibitors. With God’s help, the next Congress will be hosted by the shepherd of the Diocese of Orange, California, Bishop Kevin Vann, in 2015.